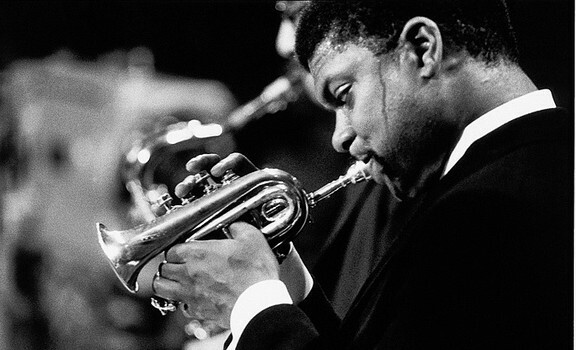 Philadelphia trumpeter Ted Curson, best known for his collaboration with Charles Mingus, died on November 4th at the age of 77. This is our way to remember a great musician, who has been an inspiration for the young generation of jazz. Theodore ‘Ted’ Curson was born in Philadelphia on June 3rd 1935. His passion for the trumpet started after seeing a newspaper salesman playing the instrument. Even though his father wanted him to become an alto sax player like Louis Jordan, Ted kept on asking his family for a trumpet, which he finally got at the age of 10. That was the beginning of his relationship with music. After attending Philadelphia’s Granoff School of Music the young Ted, eager for more music activity, moved to New York at the suggestion of Miles Davis. It was 1956. That is when Curson’s career took off. First a collaboration with avantgarde-master pianist Cecil Taylor and saxophonist Bill Barron, forming the frontline of Taylor’s quintet on Love for Sale (1959). Soon after that, Curson became part of Charles Mingus‘ band. Mingus, an iconic and highly influential figure in the jazz panorama, was also a demanding bandleader that wanted to expand the concept of bebop. The band, which also featured alto sax player Eric Dolphy recorded both in studio and in concert, releasing the 1960’s live recording Mingus in Antibes, particularly appreciated by the press and jazz fans. Curson always said to had learnt a lot from Dolphy’s way of thinking and approach to jazz. Curson featured Dolphy on one of his earliest recordings and released Tears for Dolphy, a tribute for Dolphy after his sudden death in 1964 (Dolphy was only 36). After his experience with Charles Mingus Curson formed a group with Bill Barron, which released the album The New Thing & The Blue Thing in 1965 under Atlantic. Even though Curson was making hard-bop music with Barron, he was constantly performing with free-jazz pioneer Cecil Taylor. Because of his incredible sound Curson was chosen as contributor of Pier Paolo Pasolini 1968 movie ‘Teorema’. However, only Ennio Morricone, who also contributed, received contributor credit. But Curson was a good man, who loved his music and just kept on going his way without drama. After meeting Pori Jazz Festival‘s promoters while in Paris, Curson attended one of the biggest and oldest jazz festivals in Europe. He performed at the inaugural Pori festival in 1966 and never missed an edition since. Because of his role as inspiring musician and for been really loved by Pori fans, Curson received the key of the city in 1998. He was a familiar face in Finland and he was a very well-regarded jazzman. In 2007 Finland president Tarja Halonen invited him to perform at Finland’s Independence Day Ball, the country’s most prestigious event. Curson was a great musician and a man of good heart. However, it probably is the heart that took him away from his family and his jazz friends and fans. Because of a heart failure Ted Curson is gone. True, unfortunately he passed away, but his contribution and inspiring passion for jazz will always be here.